Easter Walk Long Beach in 1999, just two years after it launched. Founder Rick White (aka Sheeya Mann) sits center and is joined by Edward Griffith (aka Jackie O’Nasty) and Michael Maldonado (aka Moanalot Fontaine). Well over 15 years ago, I had the pleasure of having an older gay couple as neighbors. Larry and JR were, by that point, highly successful contractors but, as was common amongst many older gay couples, they rarely exuded public forms of affection. This wasn’t out of shame; they were simply from a different era—and that era included the eradication of almost every friend they knew. I learned this when Larry, discussing “new gays” versus long-outed gays, ran back into his house and came out with a small personal address book. I flipped through the book and, aghast, found not just a few names but page after page of men’s names marked with a subtle but clear black X. “There were some weeks where we had to decide whose funeral we would attend,” Larry said. It was a surreal moment, one that I was both deeply empathetic to and yet, still largely detached from. The peak of the AIDS era in the United States is, at least from a scientific and medical perspective, mostly past us. But its effects, including the creativity, innovation, and ideas of an entire generation of gay men stolen from us, linger. 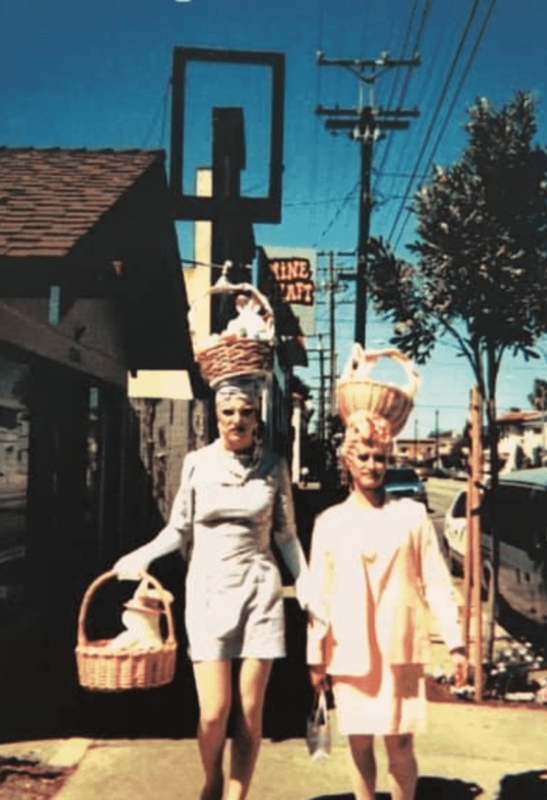 And that is why Long Beach’s famed Easter Walk is more than just a fundraiser. Since 1997, hats and heels have graced the Broadway corridor every Easter Sunday to help raise money for St. Mary’s C.A.R.E. 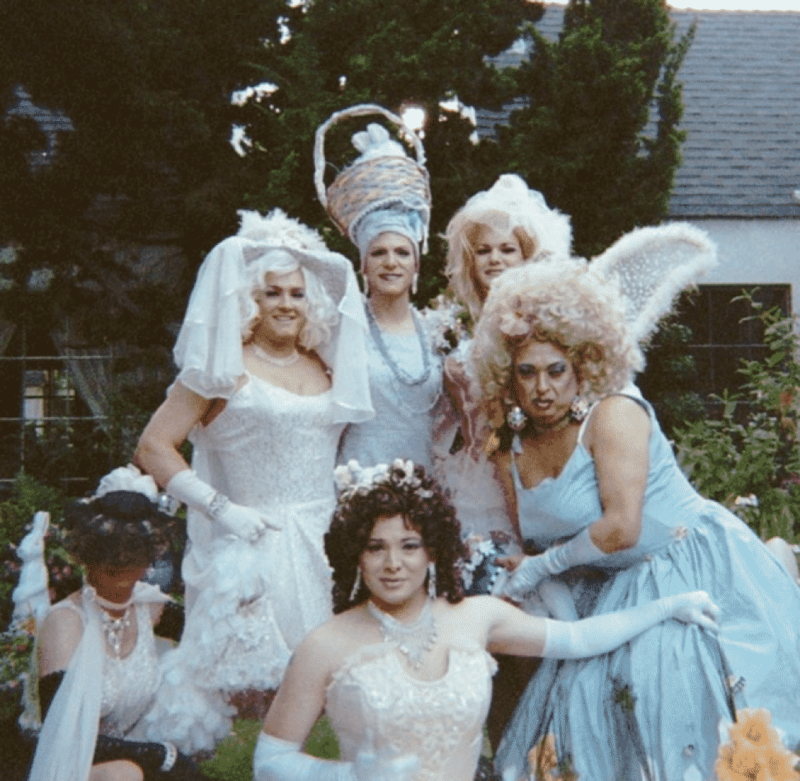 Center in Long Beach, a tradition started and founded by Rick White, whose drag name is Sheeya Mann. Once Sheeya decided the South was more her flavor, traipsing down to New Orleans for both rediscovery and retirement, local legend Jewels saw an opportunity to do what she does best: give her heart out and raise a little money. For those within the LGBTQ community, Jewels is a staple—and not just within the nightlife scene, but within their community as a whole. Her drag persona has her witty, sarcastic hand in everything that has to do with the gay Long Beach scene—including a platter of deep-fried pickles from Mary’s—be it a random night at the Falcon or hosting an event like Easter Walk. That last part, particularly in this discussion, is important: Jewels is everywhere and she brought everyone with her, including a younger crowd that might not know the Herstory behind many of the events she hosts. As tradition holds, this year will be no different: The walk will begin tomorrow at Hamburger Mary’s with the Brunchettes’ famed drag show and then, beginning at Broadway Bar, will eventually stop at every bar in the Gayborhood before ending at the Silver Fox off of Fourth Street, if you are able to make it to that far. 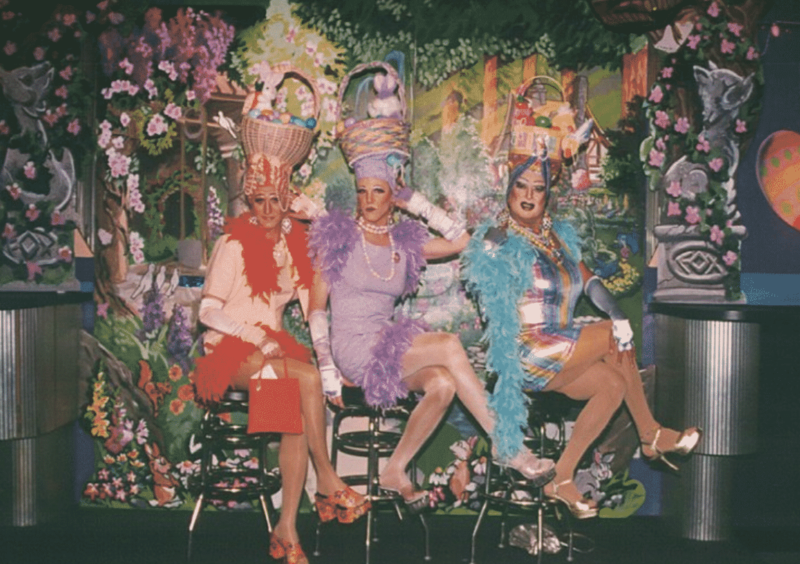 To make reservation for the Easter Drag Brunch show on Sunday, April 21, at Hamburger Mary’s, located at 330 Pine Avenue, call 562-436-7900. This year’s walk will be kicked off at Broadway Bar, located at 1100 E. Broadway, at 2PM on the same day.